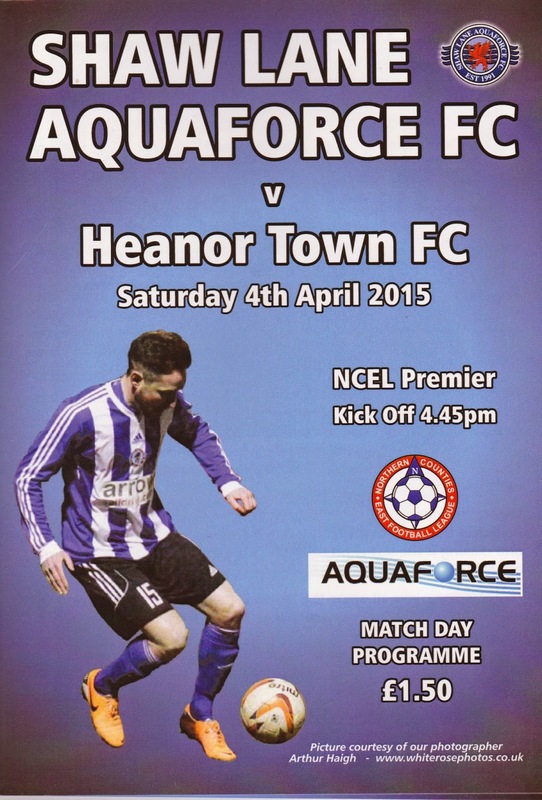 SHAW LANE AQUAFORCE FC was founded in 2012, so they are one of the youngest teams in the country. They are also one of the most progressive too. They started where the 2 clubs that preceded them played - in the Sheffield & Hallamshire League. 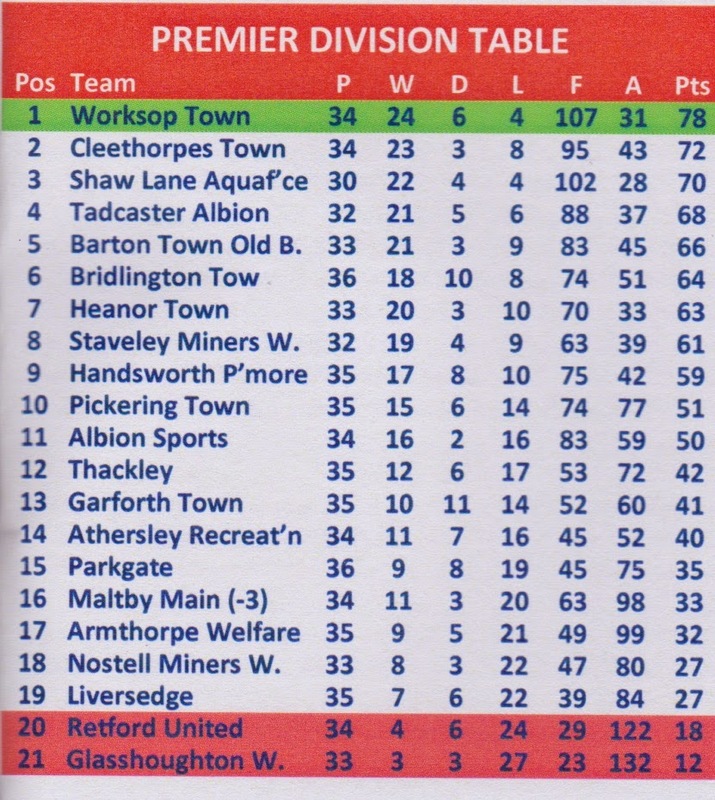 Winning the league in the first season, they were promoted to the NCEL D1 for the following season. After finishing runners up, they were promoted yet again and started this season in the NCEL Premier. They have already made great strides in the FA Vase, reaching the Quarter Final and going out to finalists Glossop North End. Considering this could be their first and only season in the competition. I say that as they are right in the hunt for the NCEL Premier title, and if they take maximum points from all their games, they will be crowned Champions and earn a 3rd successive promotion. 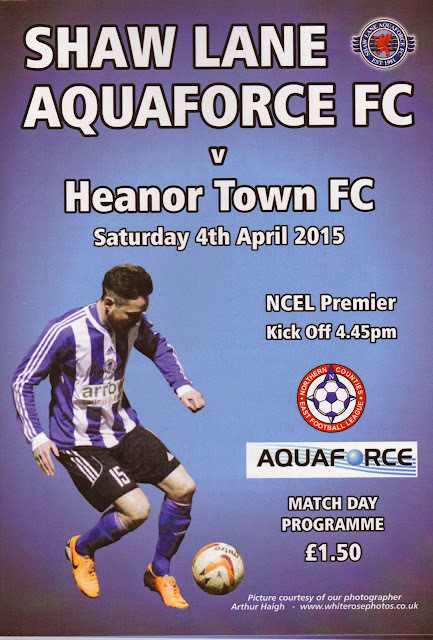 The 3rd game of the NCEL Hop was at Barnsley based Shaw Lane Aquaforce. I had already been to the ground for pictures. That was some time last season. I was in the area, or at least passing through, I needed a driving break and so I used stopping as an excuse to look round the freshly promoted Shaw Lane ground and also their local rivals Worsborough Bridge, who also played in the NCEL Division 1. I had a 30-minute drive to Shaw Lane Aquaforce, close to where I had been this morning in Barnsley. First stop was the merchandise stall where I purchased a pen for £1.20. My priority was getting a picture with Desmond The Duck, the Shaw Lane Aquaforce and I got that done pretty much as soon as I got pitchside. From then on it was a hunt for pre-match sustenance - I went to the tea bar and got myself a can of Strongbow for £2 and a Sausage Roll for £1. Whilst walking around I noticed that the pitch was totally mullered by sharing with the local rugby team, and it came as no surprise that they had games called off quite a lot. Like the previous games, they were highly competitive. Heanor were the better side on the ball, but it was the home side that were having more chances. The game was settled on 39 minutes when Sam Denton's excellent drilled free-kick into the bottom left-hand corner evaded the Heanor keeper. From then on it was a really feisty game. The visiting army from Heanor were making lots of noise trying to get their team back in it and to be fair they had Shaw Lane on the back foot. The hosts nearly grabbed a second on the break when the number 9 broke away, but he screwed his shot wide, only for a Heanor defender to nearly turn it into his own net, but the keeper saved the day. Overall it had been a good game to watch, and it had been great meeting Desmond The Duck, the Shaw Lane Aquaforce mascot. They are a really progressive and go ahead club and though they have every chance of going up, should they win their games in hand. Certainly, they have the financial clout and the ground in place to make the step up. SHAW LANE is shared with the local rugby club. The main stand is the most interesting structure at the ground, with it's unique and smart design. This holds around 200, while there are about 150 seats in another plainer stand behind the goal. The rest of the ground is open standing. There is a tea bar and club shop inside the ground, whilst the bar is outside. The town centre is around 20 minutes walk away from what I can work out.